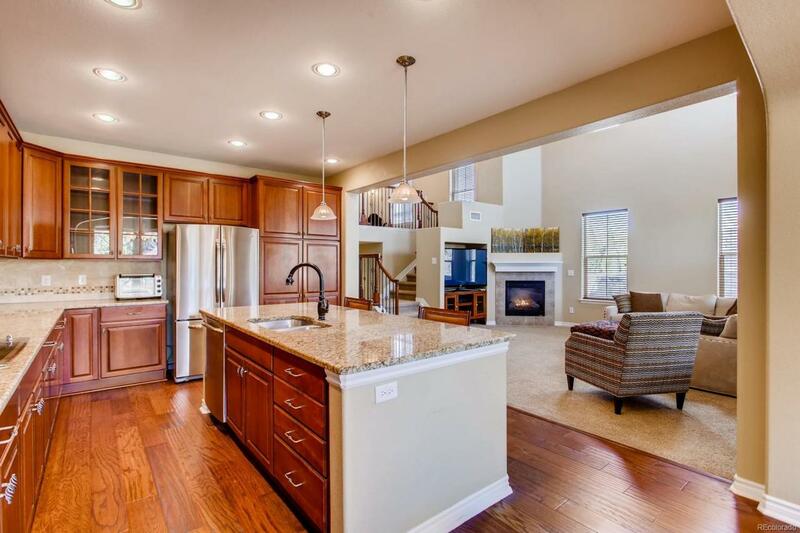 Dont miss this gorgeous luxury end unit townhouse in the desired Tresana neighborhood! The beautiful gourmet kitchen with granite counters, double oven, and stainless steel appliances opens to the living and dining room. Lots of windows and vaulted ceilings make this unit light, bright, and open! Master suite has a deck with views and bathroom with double sinks, tub, shower, and large walk in closet. Bonus loft space, and a second en suite bedroom round out the upstairs. Private patio, mountain views, community pool and clubhouse. Come see us and fall in love with the community and location!